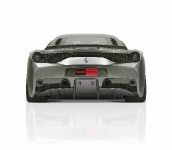 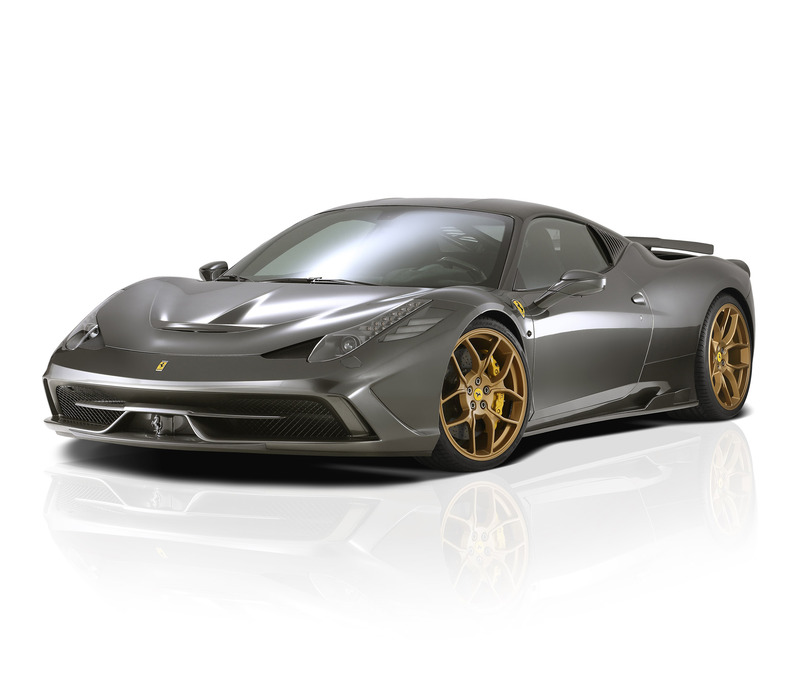 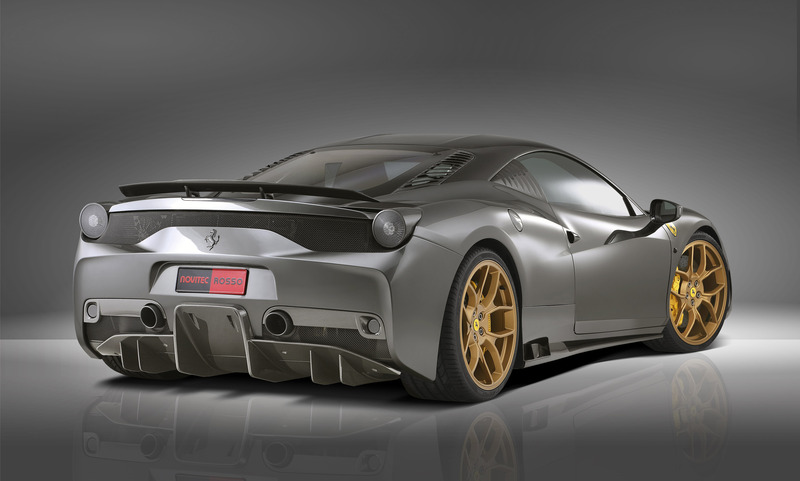 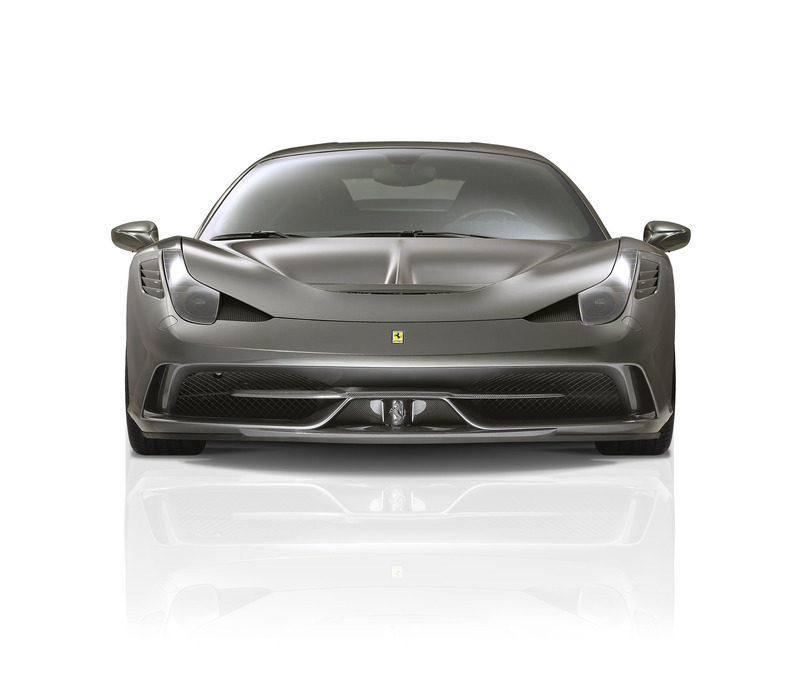 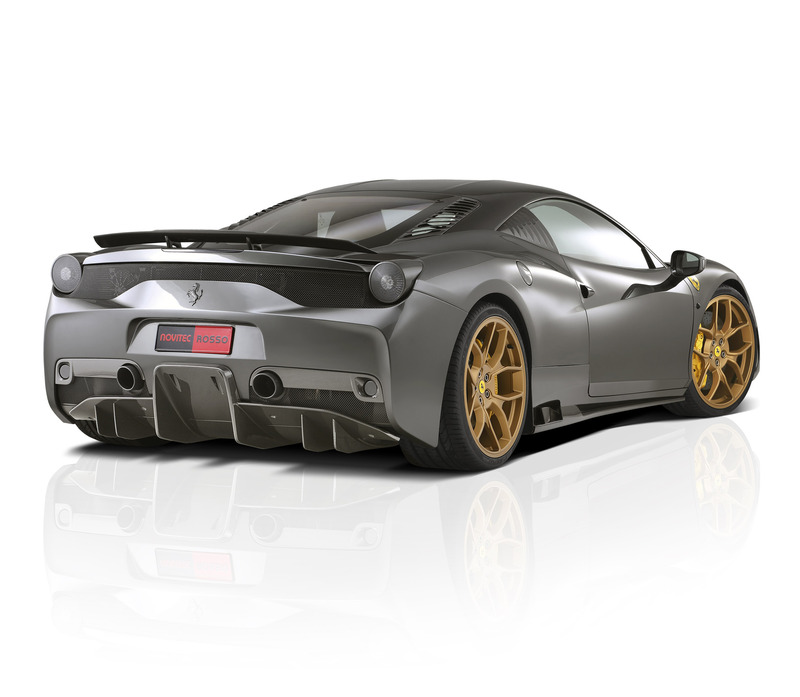 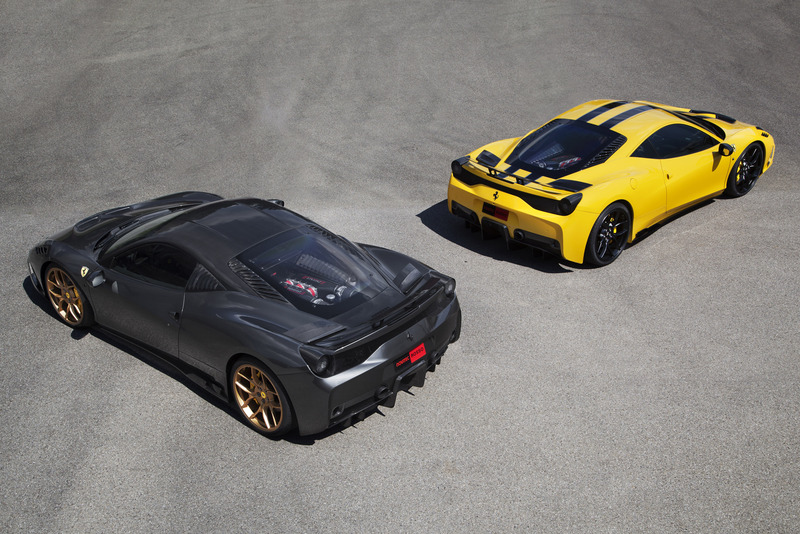 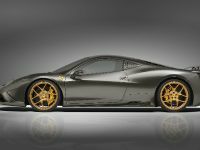 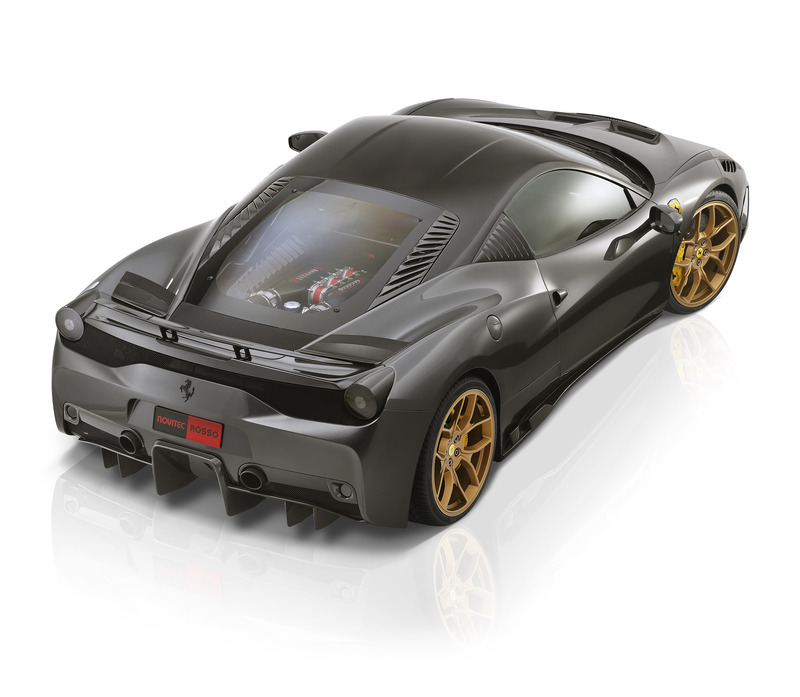 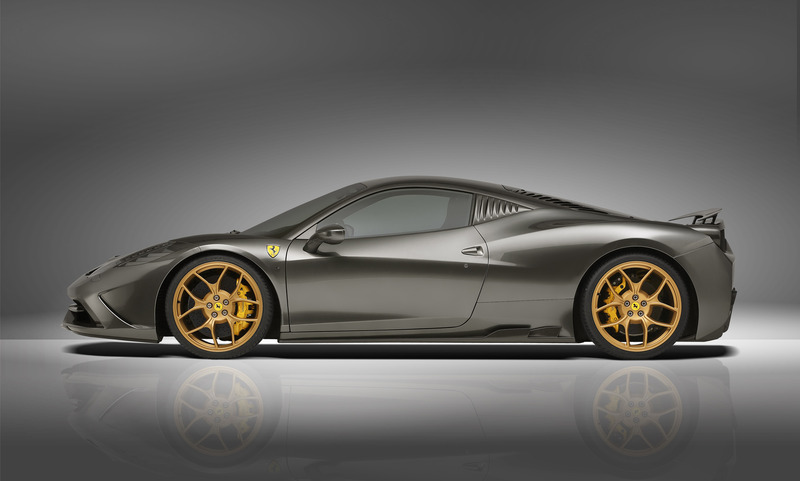 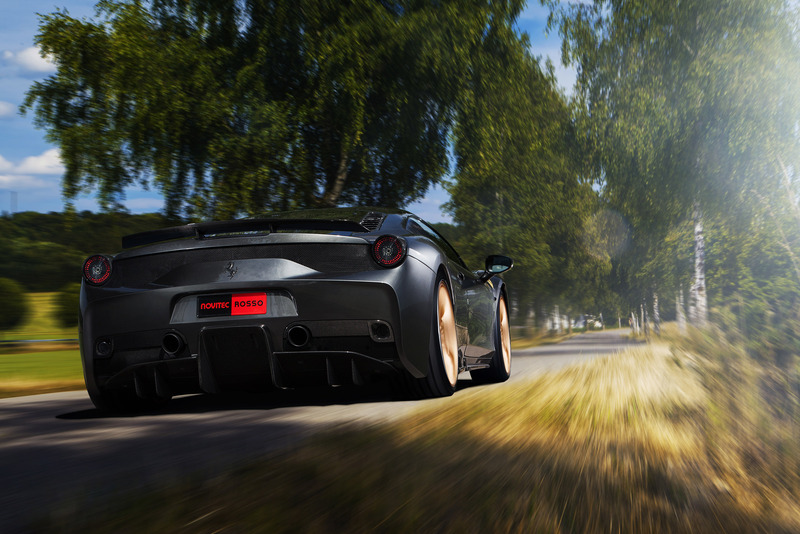 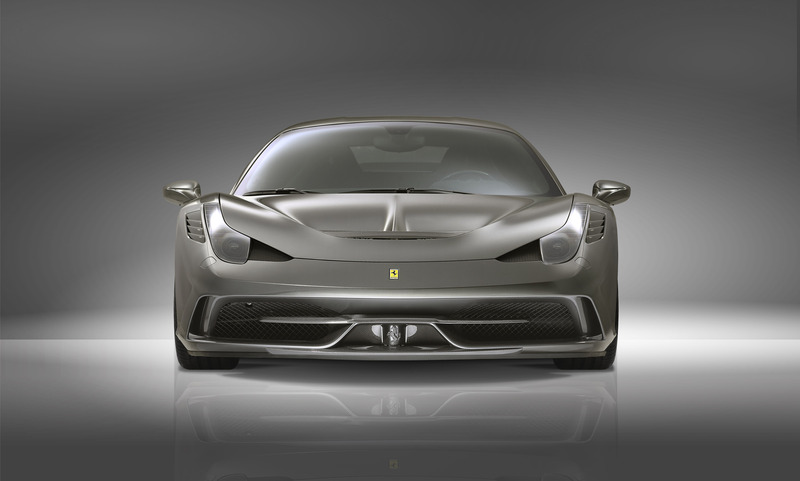 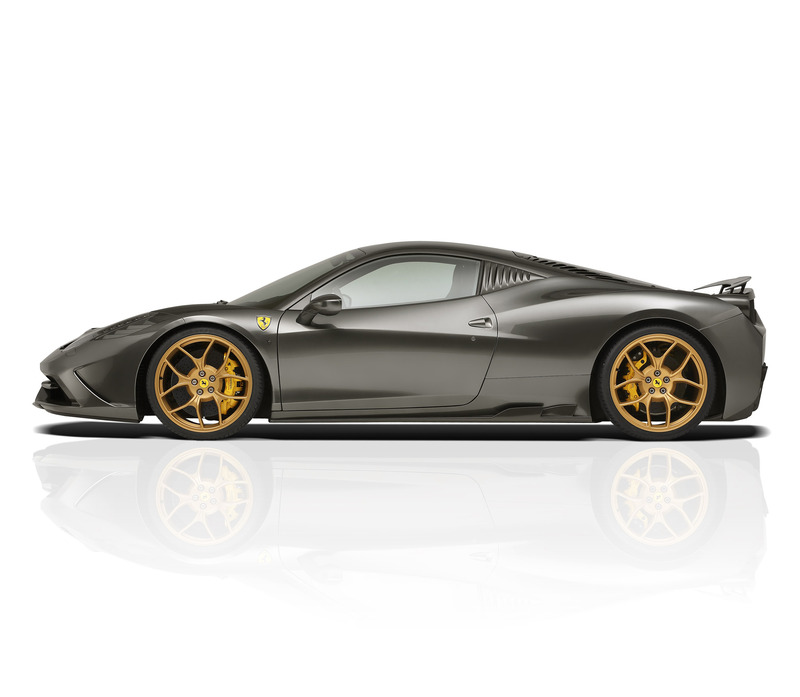 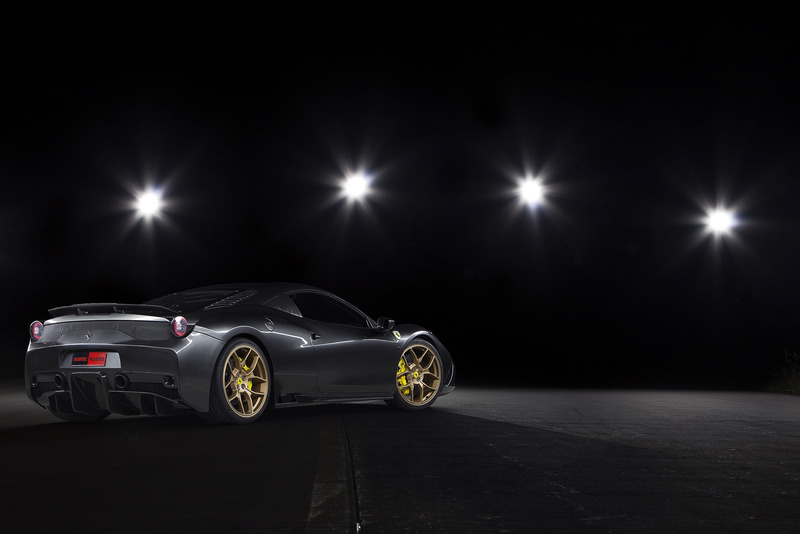 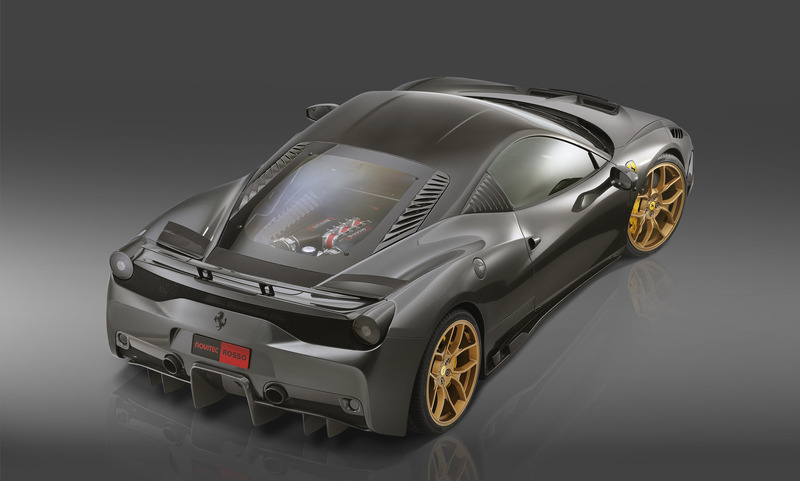 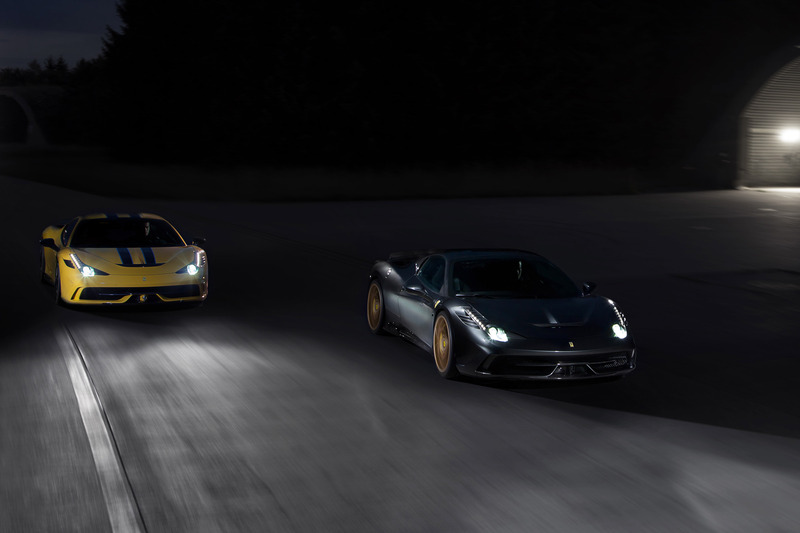 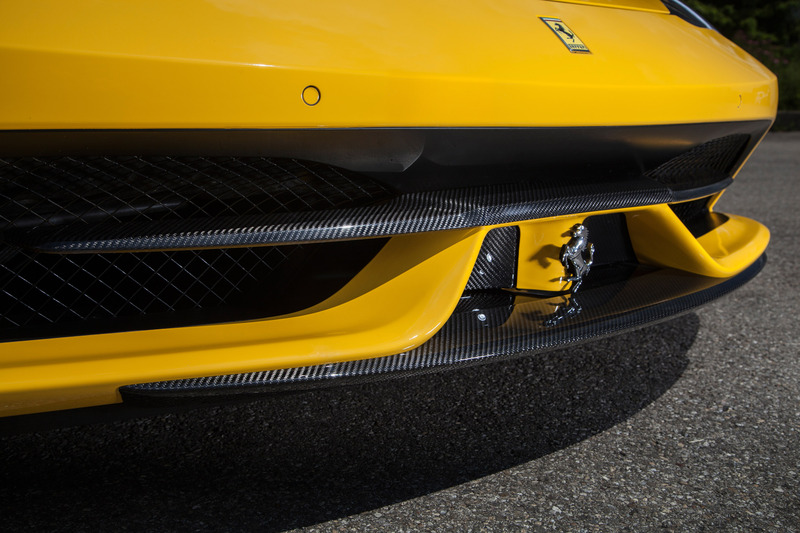 Novitec Rosso has revealed their latest tuning program for the powerful Ferrari 458 Speciale. 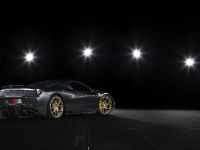 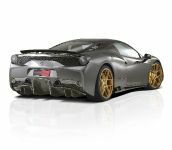 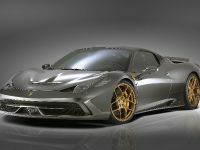 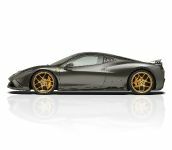 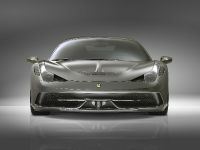 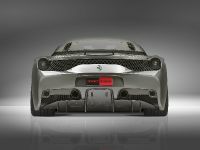 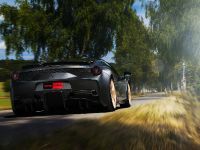 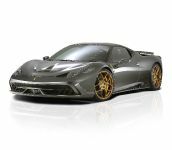 The tuning company has already unveiled their version of 458 Italia and now it is turn to the most powerful version of the Italian supercar. 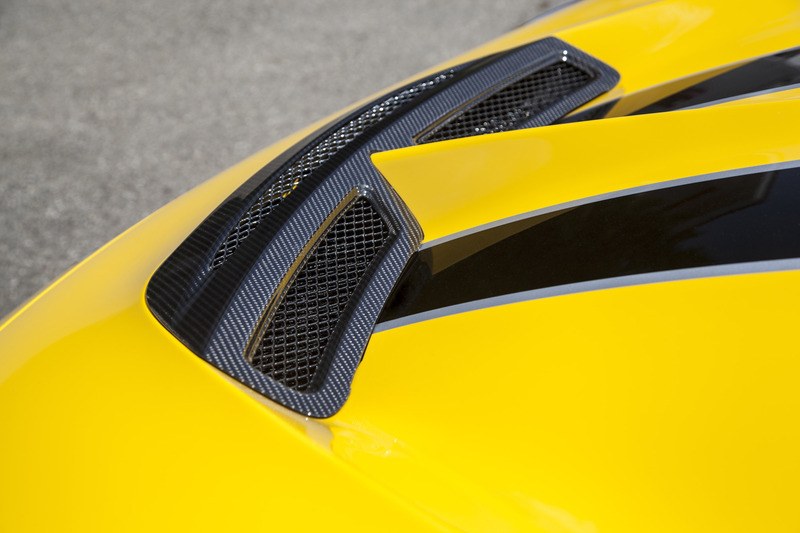 The tuning package includes styling and performance upgrades as well as optimized aerodynamics. 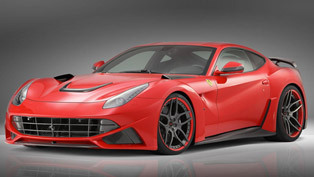 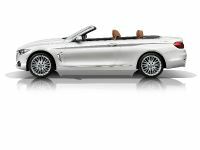 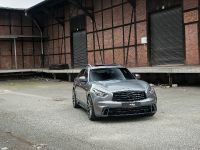 The exterior boasts a complete body kit including a new spoiler and splitter for the front bumper, modified rocker panels and carbon-fiber moldings with gill-shaped profile for the rear side windows. 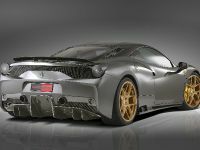 There is also a new rear wing and a carbon fiber diffusor as well as new moldings for the exterior mirrors and the door triangles. 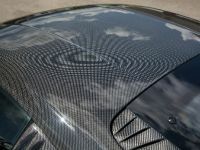 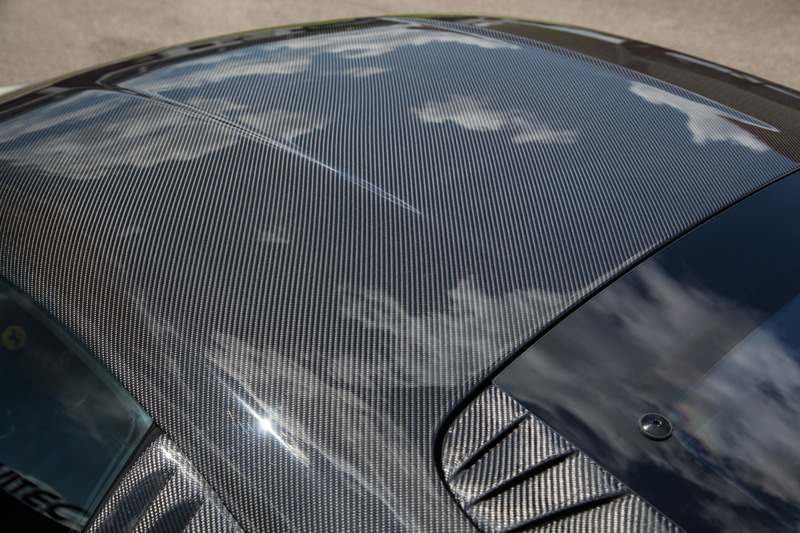 All components are manufactured from carbon fiber, which guarantees high durability and low weight. 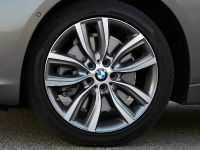 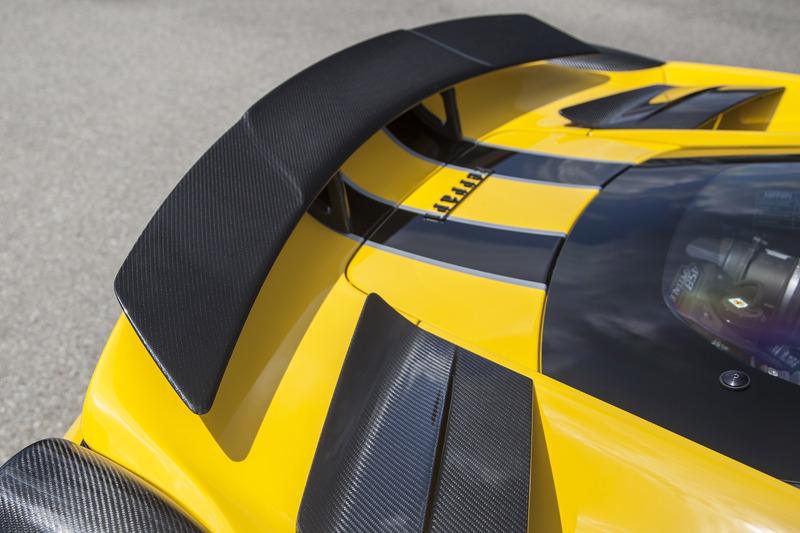 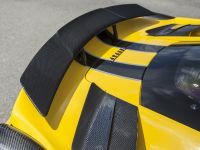 Special air deflectors for the left and right air inlets on the rear side components were developed as part of the innovative aerodynamic-enhancement concept. 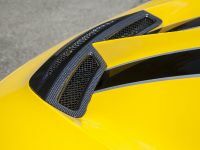 To complete the striking exterior look, NOVITEC also offers additional carbon-fiber applications such as vent grilles or the fog lamp surround, roof skin and the hood also made of carbon fiber. 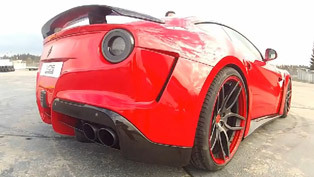 Other highlights include as black tail lights, black turn signals and black auxiliary LED brake light. 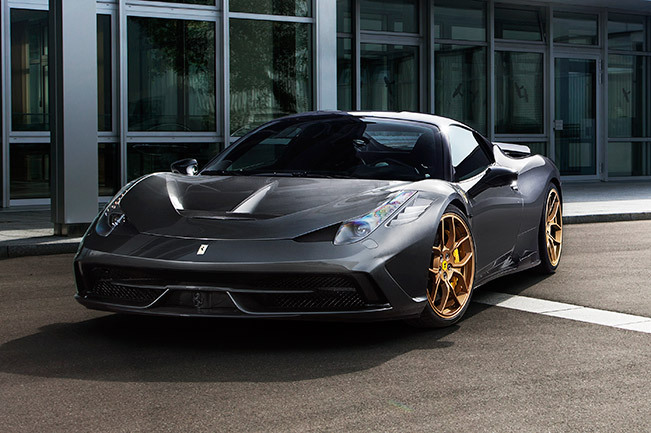 A set of enormous 21" Novitec Rosso NF4 forged rims are specially developed and fitted to the tuned 458 Speciale. 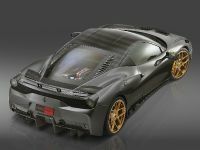 They are fitted with high-performance Pirelli PZero tires of sizes 255/30 ZR 21 and 325/25 ZR 21. 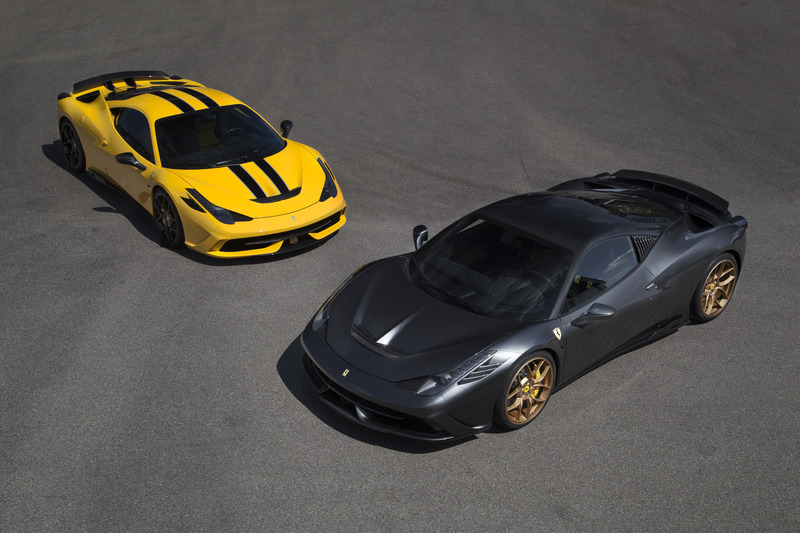 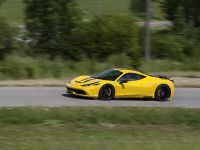 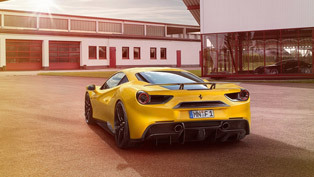 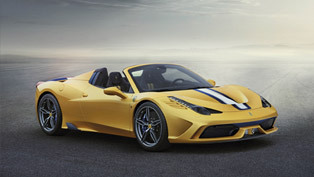 One of the most powerful naturally-aspirated engines in the world - the 4.5 liter V8 powering the 458 Speciale is boosted to spectacular 636HP (458 kW) at 9,250RPM and 572Nm (422 lb-ft) of torque at 5,550RPM. 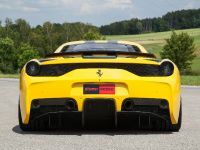 No words about acceleration 0-100 km/h, but it is under 3.0 seconds. 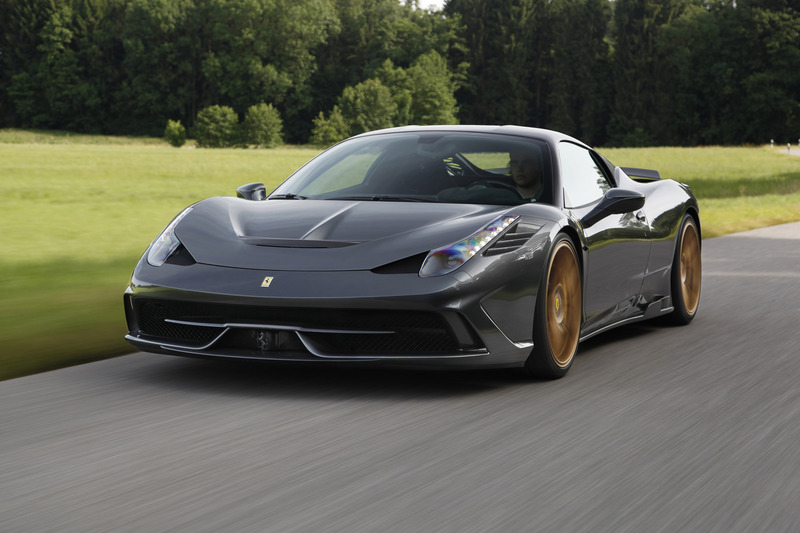 The top speed is over 330 km/h (205 mph). 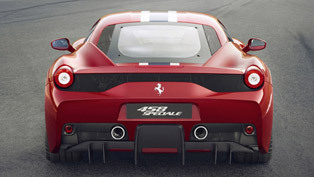 Another nice feature is the hydraulic suspension system for the 458 Speciale. 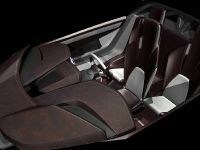 The front of the car can be raised by 40 mm at the push of a button in the cockpit to be able to drive over a curb or navigate a parking garage ramp. 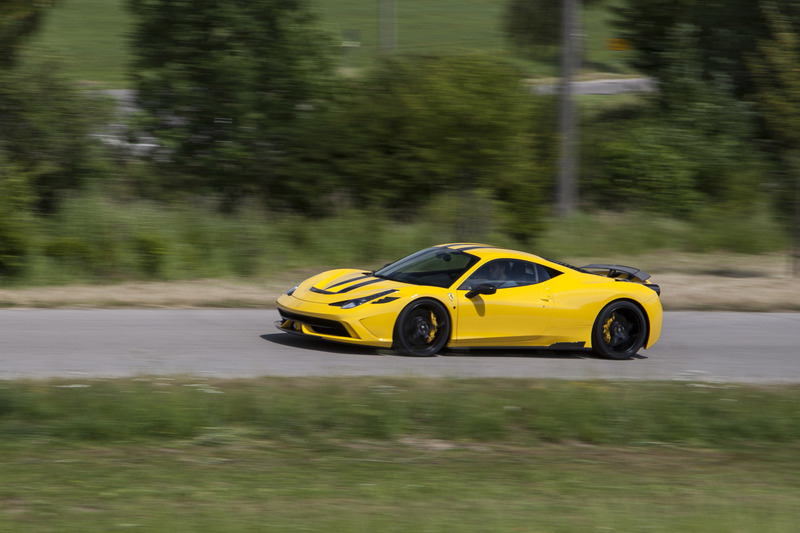 The front reverts to its original position at a second push of the button or automatically upon reaching a speed of 80 km/h. 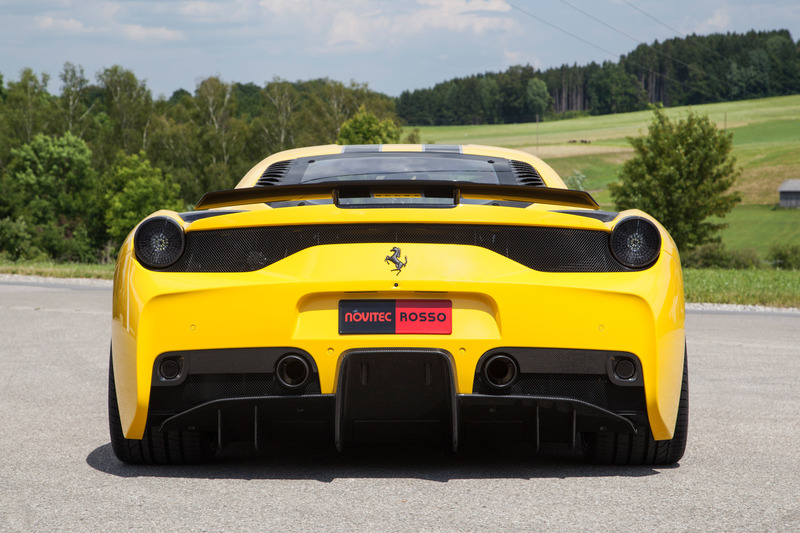 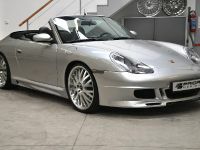 In addition, Novitec Rosso sport springs lower the ride height of the Spider by some 30 mm. 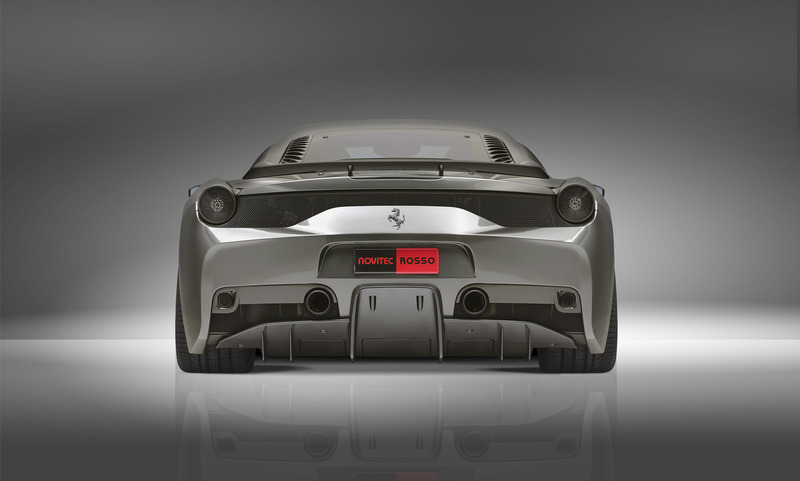 Novitec Rosso sport stabilizer bars can deliver even more direct handling. 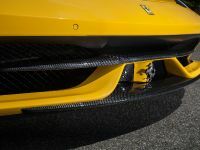 Finally, the sports exhaust system consisting of two high-performance exhaust manifolds, sports catalysts and a rear muffler, not only deliver sensational sound, but a lot additional power. 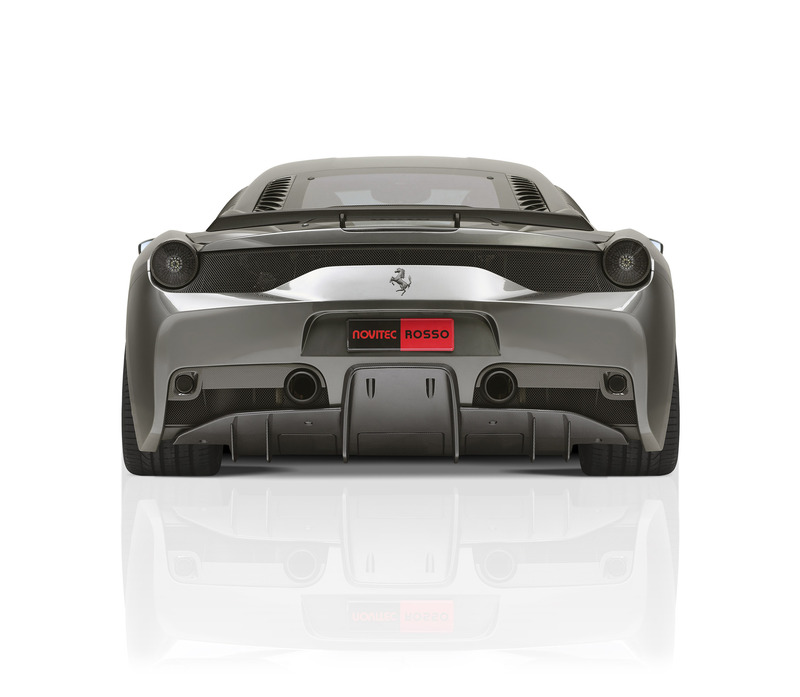 The system features two matte black-coated tailpipes with a diameter of 100 mm. 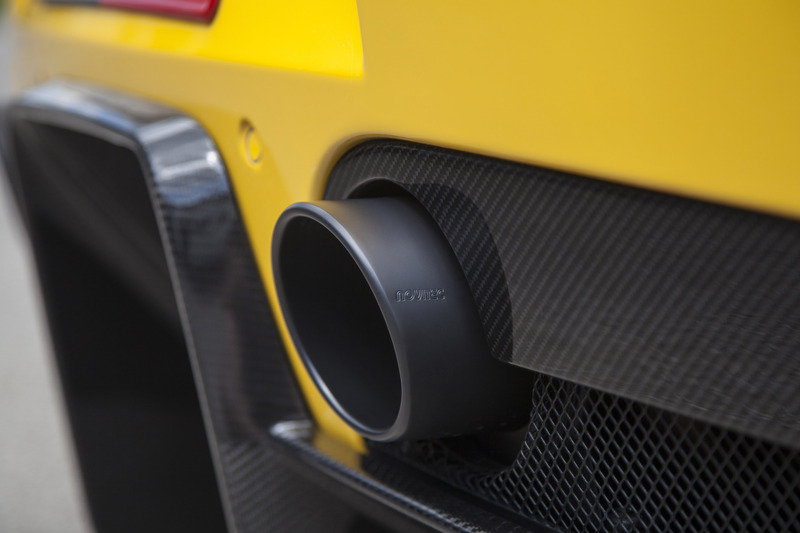 The sports exhaust will be also available as a stand-alone option with a version with electronic sound management.